As I mentioned last time Havana was the "parent port" for this semester so the students were gone most of the days with their parents and didn't have to stand gangway watch during the day making for a very quiet ship. The place we were docked was a secure port, there was a metal detector and x-ray machine which were sometimes used when you left or came back. Other times the security people just waved us through. I didn't do anything terribly exciting here. 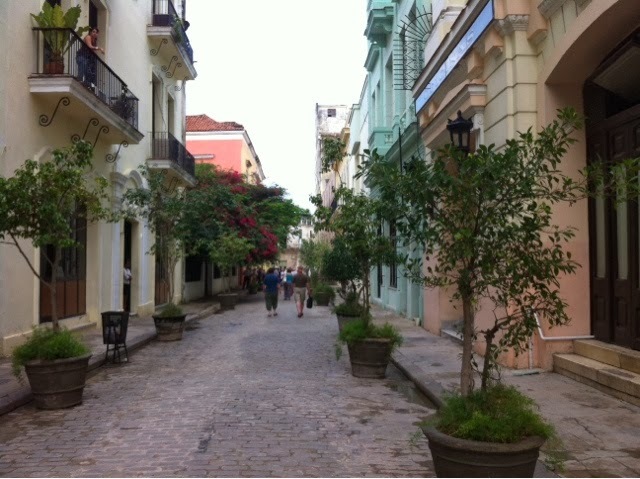 When I had time off the ship I mostly just wandered around the streets enjoying Cuba. 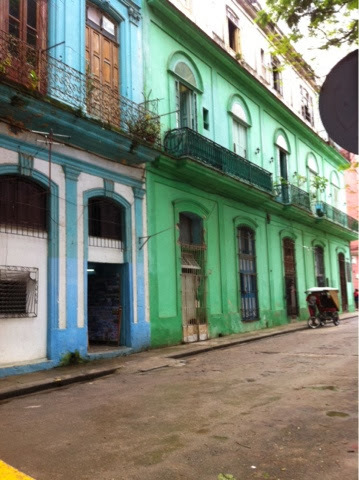 It was interesting to see the differences in the city depending which direction you walked in. 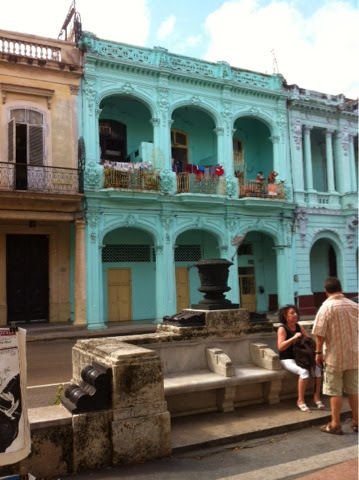 We were right in Old Havana, lots of old buildings (obviously) with balconies and laundry drying. Lots of tiny stores, restaurants and snack bars. Colourful squares, bicycle taxis, tourist shops and food vendors. 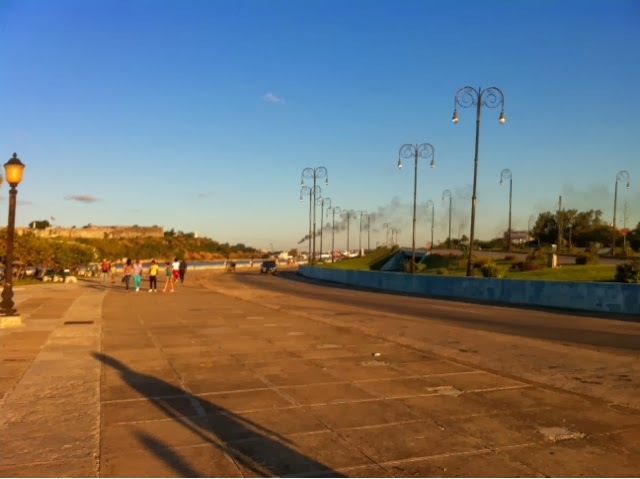 Walking along the water was a wide boulevard running along the seaside and in the distance a more modern Havana with skyscrapers. This was a great place to run and I went out twice. 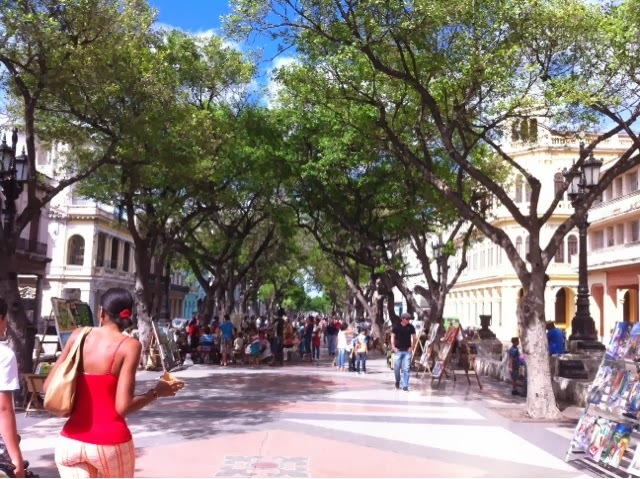 I happened across an art show & sale on this wide boulevard. It was fun to browse among the different artists who had stands set up. The internet situation was interesting. Wifi and internet (on a shared computer) only seemed to be available at a few of the more modern hotels and even then it was iffy. First you had to buy a card like a phone card with a pin number to log on to the network. These were available in half hour or full hour amounts and were not always in stock. Then sometimes I was told the network was down, or had too many people on it so they couldn't sell me a card. Finally on the last day of our stay I was able to both buy a card and log on to the network! Hooray! It's a bit sad that one of the first things the crew wants to do in port is find internet but it's the main way we stay in touch with friends and family and for some, potential employers. Anyways I had a great half hour catching up on things. On the way back from my internet session I had a good find, a bakery! I had 3 pesos left and rather then have them go to waste I spent them on a box of goodies. 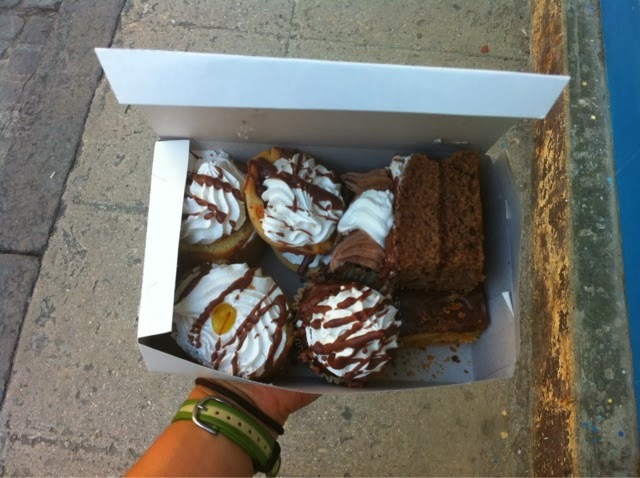 Who needs Cuban cigars when you can have pastries! ?